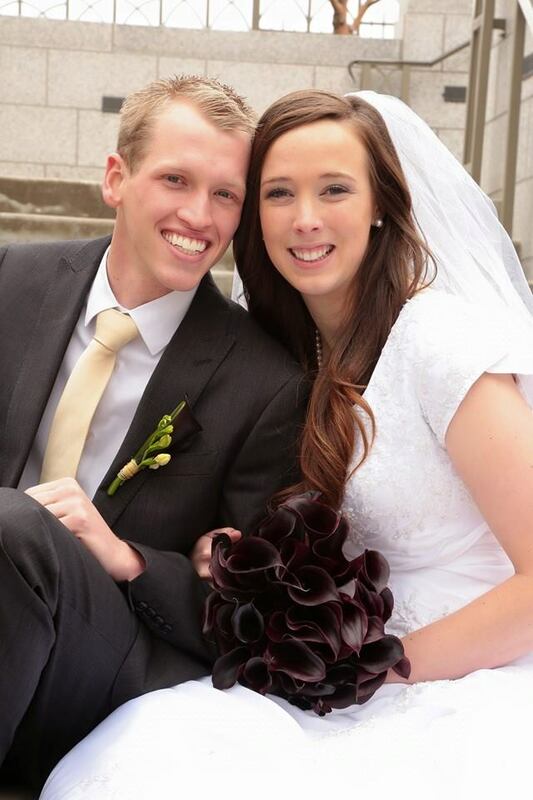 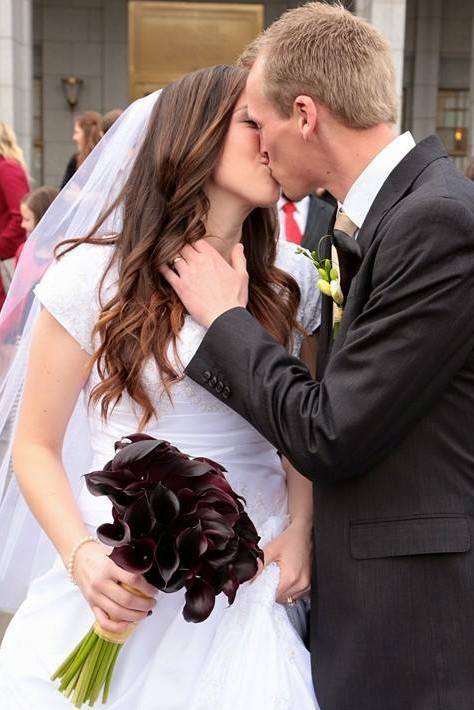 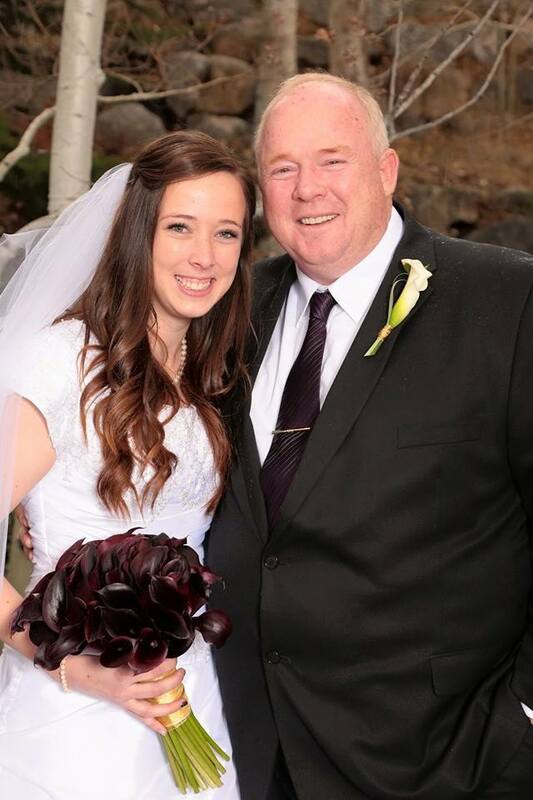 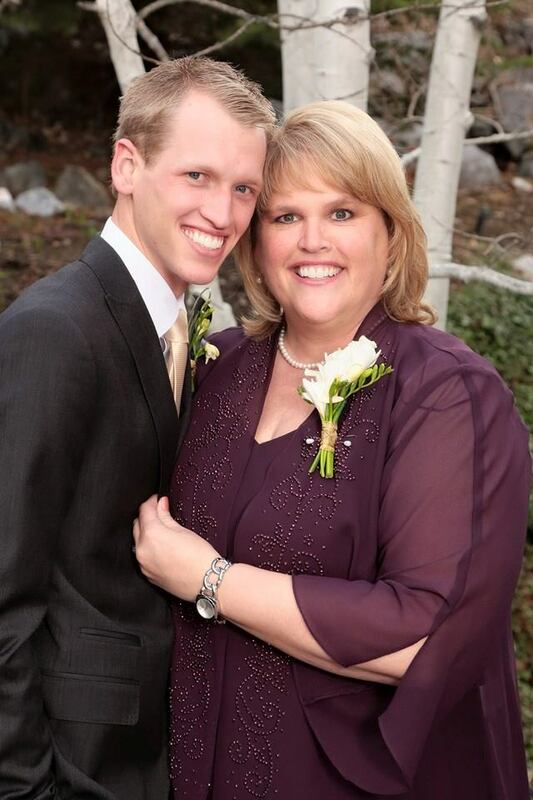 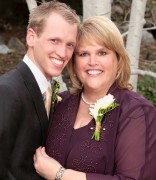 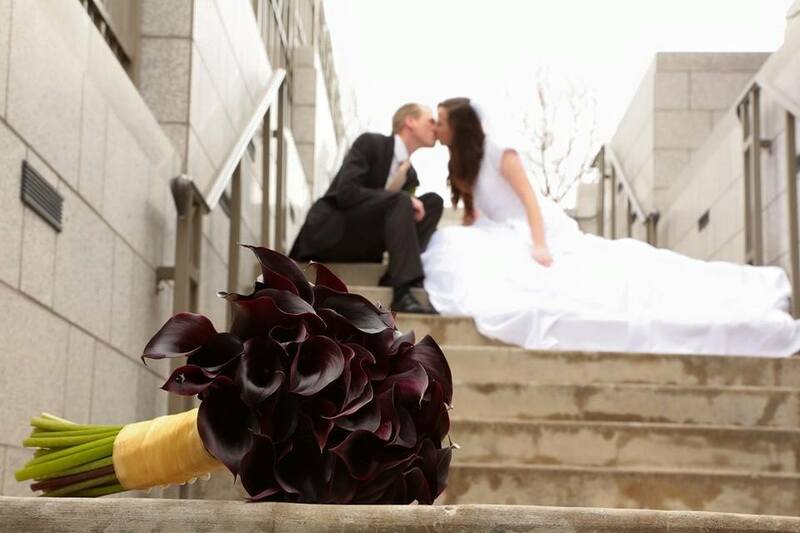 Classy springtime wedding held at Heritage Gardens in Sandy, Utah. 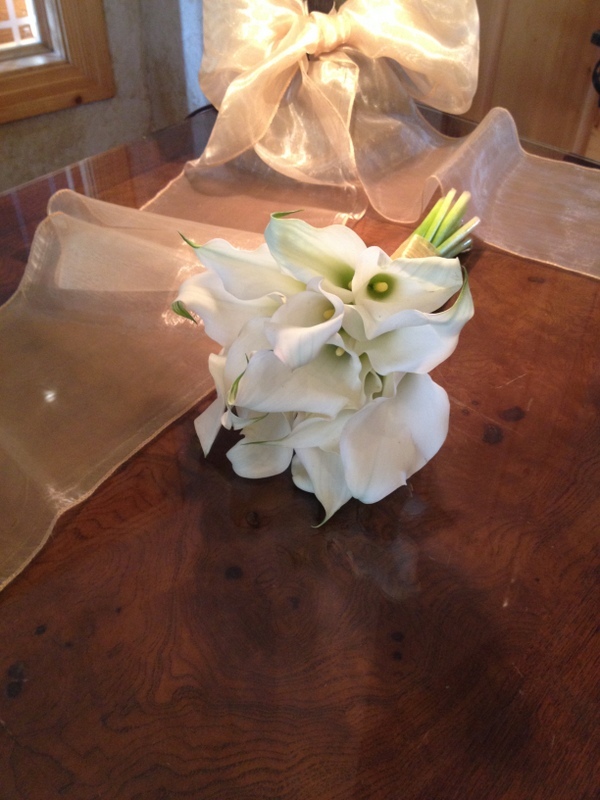 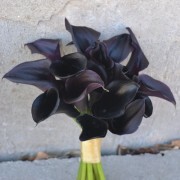 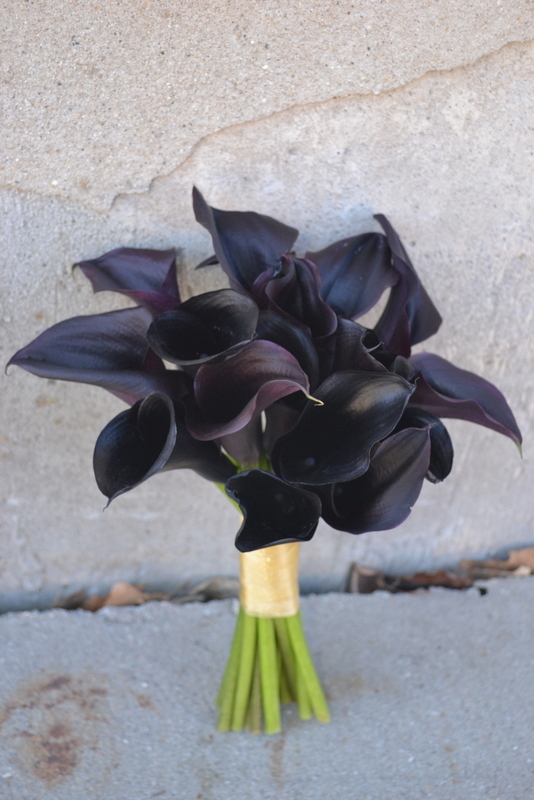 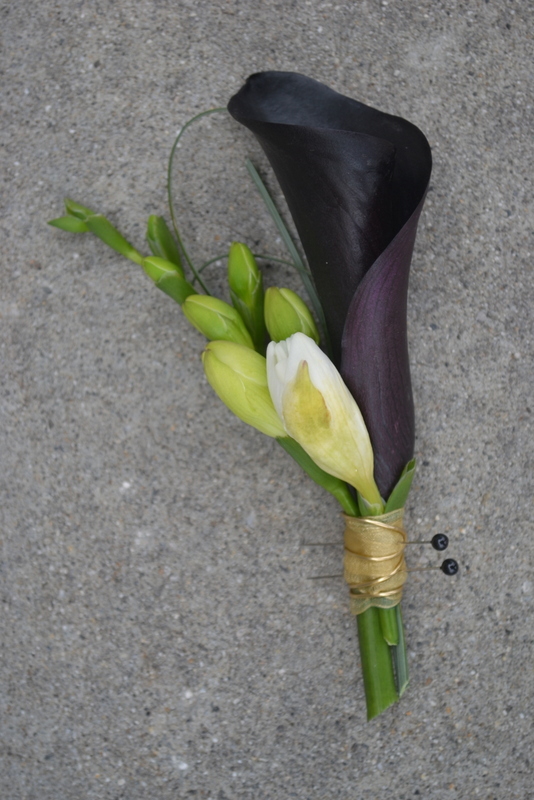 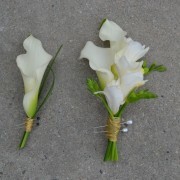 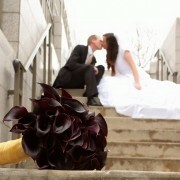 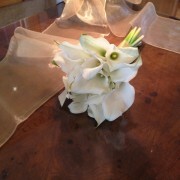 Bride chose to spotlight the bold Schwarzwalder Mini Calla, a gorgeous flower that is able to hold its own. 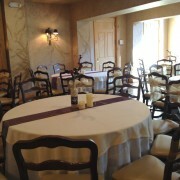 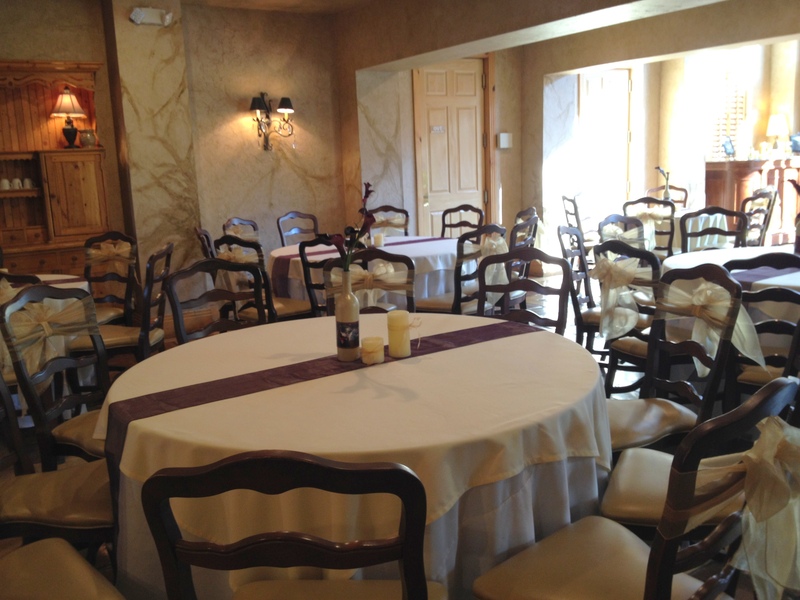 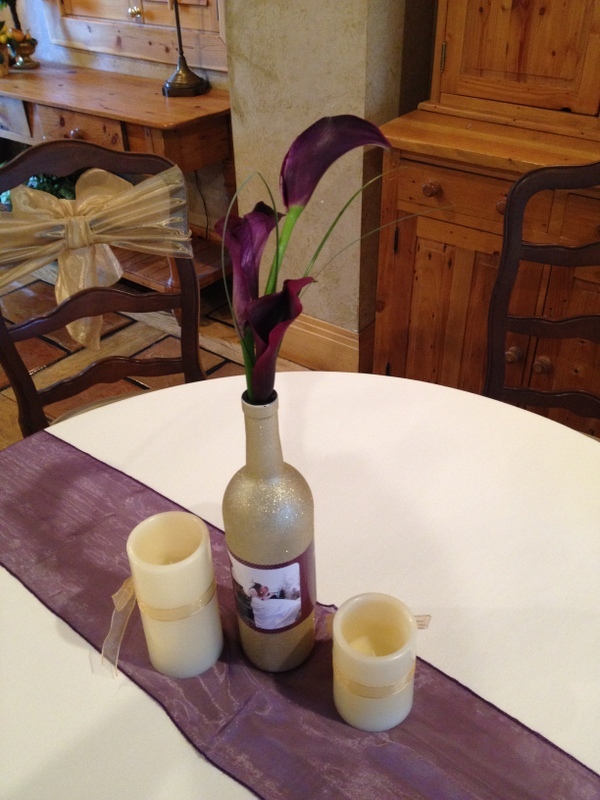 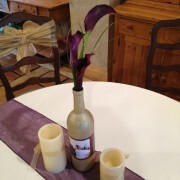 Light gold accented the event, a lovely contrast to the almost black, eggplant purple. 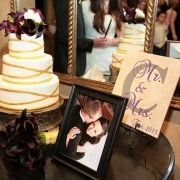 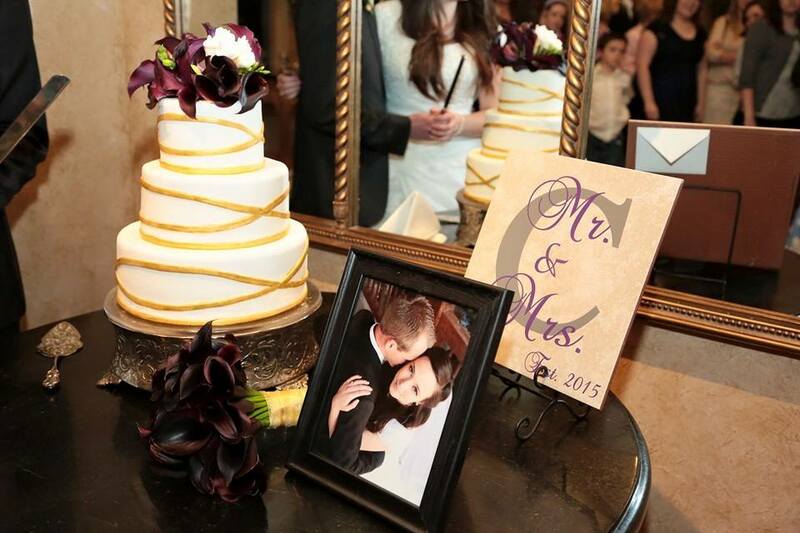 The Bride and Groom created personalized table decorations, three Schwarzwalder’s topped them off. 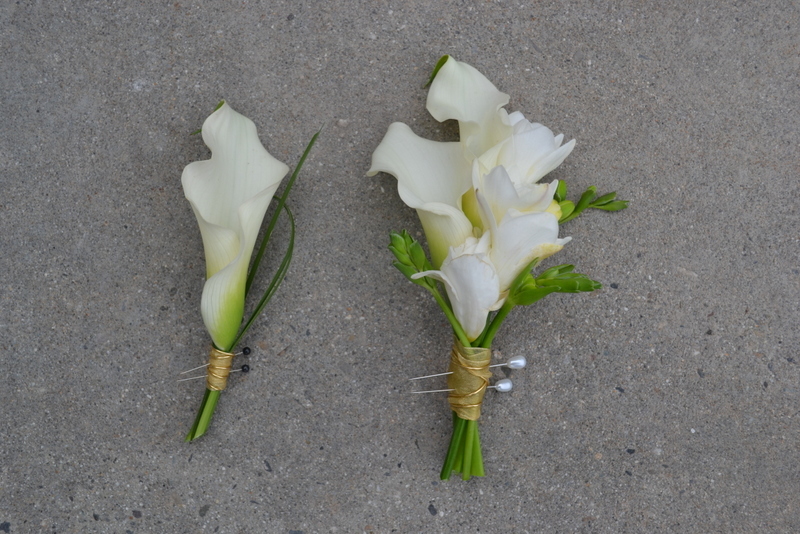 A smaller version of the bridal bouquet was created for the Bridal Photo Session.